As wildfires continue to burn in British Columbia, please pray with PWS&D for those affected—evacuees and first responders. 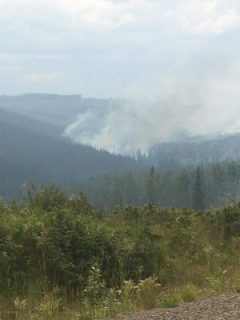 Read the Moderator’s prayer in response to the BC forest fires. Updates from the Rev. Shannon Bell Wyminga (Cariboo Region) can also be found here or on The Presbyterian Church in Canada’s Facebook page. “At present, we would covet the prayers of the church for rain, for protection for the first responders and fire fighters in the areas of wildfire, and for the evacuees and their animals. The longer the present wildfire situation exists the greater the level of anxiety and worry among the evacuees is [about] not only when can they return home, but will there be anything to return to,” shares The Rev. Herb Hilder, clerk of the Presbytery of Kamloops. Donations to support immediate relief and long-term rebuilding for people affected by the fires may be made to Presbyterian World Service & Development for “BC Fires.” Funds will be used in consultation with presbyteries and local congregations to support Presbyterian, ecumenical and other relief efforts. Learn how Presbyterians supported recovery in Fort McMurray, Alberta after the wildfires in 2016. A sample bulletin announcement is available below for use by congregations. Call 1-800-619-7301 to donate with a credit card. Mail a cheque to PWS&D at 50 Wynford Dr. Toronto, ON M3C 1J7. Indicate “BC Fires” on the cheque memo line. Give through your local congregation, marking “PWS&D – BC Fires” on the envelope or cheque.